after locating them with the help of maps she remembered and drew as a child. 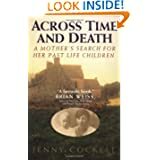 JENNY COCKELL’S BOOK – Across Time And Death: A Mother’s Search For Her Past Life Children (Amazon affiliate) CLICK HERE TO PURCHASE. For as long as she could remember, Jenny Cockell had known that she had lived before as Mary Sutton, a young Irishwoman who had died 21 years before Jenny was born. Her constant dream-memory was of Mary dying, alone and desperately worried about what would happen to the 8 young children she was leaving behind. When at last Jenny’s own children were born, she finally acknowledged that she needed to find out what had happened to her lost family from her previous lifetime. Across Time And Death is the compelling story of a mother’s love that reached from one life to another to reunite with her children. 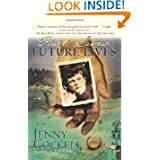 JENNY COCKELL’S SECOND BOOK – Past Lives, Future Lives (Amazon affiliate) CLICK HERE TO PURCHASE. Past Lives, Future Lives tells the continuing story of the psychic experiences that spurred Jenny Cockell to investigate not only other past lives but the future — as far ahead as the twenty-third century. Her amazingly detailed glimpses of the future are more than merely personal images; they allow her to formulate an overall view of what the future holds for us all — including a planet much lower in population, but also safer and more pleasant than the world of today. In her honest, warm, and plain-speaking voice, Jenny Cockell writes of the past and the future in a way that is both practical and visionary; she offers inspiration and hope for the world to come. JENNY COCKELL’S BIOGRAPHY: Jenny Cockell, a member of Mensa (the high IQ society), is the author of the bestselling book on past life memory titled, Across Time And Death: A Mother’s Search For Her Past Life Children. She is also a chiropodist in Northamptonshire, England. She has two children, a son and daughter, and is married to her husband, Steve, a garden designer. This is so exciting that you found Jenny to interview!! I saw her story a few years ago on a special TV show, where they interviewed her with some of her past life children that she had tracked down. This is the closest thing to ” proof of past lives” that most people should need!!! Great Job with this and all your work Bob!!! I’m glad you liked it. Yes, great evidence that life goes on. And, yes, I have heard of Elisa, thank you. well yet another great interview Bob.I can also remember a wartime event.All your programs are bringing back so many memories. keep up the good work .Jack. I hope you’re having more positive memories than negative. Thanks for your comment. Wonderful interview (the most recent of many!). It’s so affirming to hear the experience of someone who is clearly down to earth and pragmatic. Makes me wonder whether my daughter, who was the victim in a murder/suicide in 2000, has come back yet. She’s certainly made her presence known from the spirit world. Thank you, Bob, for producing these interviews. You’re most welcome. I like how pragmatic and down to earth she is as well. Thanks for your comment. That was an awesome interview and I love her accent, I could listen to her talk all day long!! 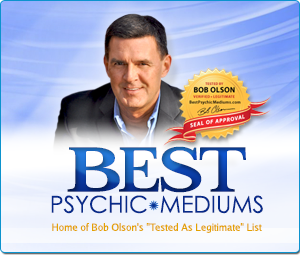 Keep them coming Bob, I love listening to Afterlife TV. Thanks for all you do. You’re welcome. I love the British accent too. She’s a lovely woman. Thanks for your comment. Congratulations on Afterlife TV – An excellent project! I’ve been wanting to tell you how much I appreciate your work, and how welcome your interviews are. Thanks for staying on this subject and helping the many souls who are becoming “aware”, not to feel alone. It is comforting to know that our feelings, intuition and convictions are shared by others; Not only a few others but many thoughtful and intelligent beings living on the planet right now. I watch every interview with gratitude. My favorite was Anita Moorjani; Wow, what an inspiring story. However, all of the information has been helpful. Please keep up the good work! I’m bathing in your kind words. Thank you so much for taking the time to write. I’ll do my best to keep them coming. I struggle so much with this life….depression overwhelms me. I happened …or not… Across your website. Because of your interviews I’ve read many books from the interviewees. It has helped. But the thing that gives me the biggest smile is you saying “idear” instead of idea. I grew up in western MA saying idear. I love it! And I love you. Your interviews turn my desperate days to hope. Thank you and all that help you. It must have been you who emailed me about the “idear” awhile back, and I think of you whenever I hear myself say it. I lost your email, so I’m happy that you left a comment. It’s just one of those things I can’t stop saying. I actually mentioned your comment about “idear” in one of my recent interviews because I heard myself say “karmer” instead of “karma.” There are some things about our past that we just can’t escape. I grew up in central Massachusetts, so I guess the vernacular was similar there, too. I’m sorry to learn about your depression. I hope that goes away soon. Thanks for your comment. I saw a T.V. show some years ago that introduced me to Jenny’s story. I believe it was on ” It’s a Miracle” but I’m not absolutely sure. Jenny’s was a very memorable story and has stayed with me. It is such a unique twist with her actually being able to confirm her dreams and feelings by finding children still alive in this life from her previous life. It was so important for her to know they were OK. It truly shows the power of love. Wow – just about sums it up for me! I thought about mentioning her to you to investigate and voila’ here she is on your site, telling her story. How cool is that? Thank you for your comments and very kind words. You are a powerful manifestor. Hi Bob, I absolutely love AfterlifeTV – thank you so much for all you do to bring such fabulous interviews to us, interviews that challenge how we think about living and dying, giving us the confidence, integrated with freedom, bringing with it, questioning of our interpretation and/or understanding of what we believe to be the truth of what happens when we cross over to the world of Spirit – love it. A mind-opening experience every time. You are so very welcome. I appreciate your sweet words. They have given me a big smile. My best wishes to you. love the way you investigate life after death. Even better is the way u write vry poignant if u know what mean. But one thing that iam unable get my head around is what happens to souls that get salvation. 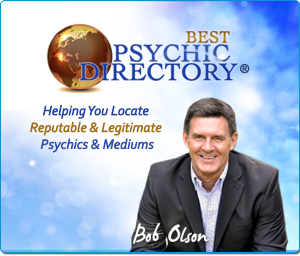 Can u still contact them through a medium. And what happens to souls that get reborn again are they contactable thru a medium. I would appreciate an answer from a fellow open minded skeptic as yourself. Those are great questions, and questions that require a lot of explanation (more than I can offer in a comment reply). 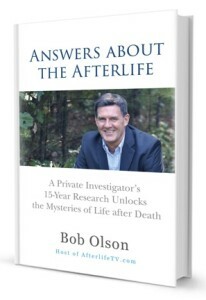 I do answer them in my new book, Answers About The Afterlife; so if you ever get a chance to read it, I think it will help you. Thank you for your kind words. Thanks for ur reply bob. I have ordered ur book but since I am in India they will deliver it only on July 5 2014. I know answers to those questions cannot be given in a comment reply but I would appreciate I u could give a yes or no reply in terms establishing contact with a spirit that has attained salvation or been reborn. I am grieving and wondering if I should be contacting my loved one at all. Wow, all the way from India. Sorry Amazon can’t get the book to you faster. 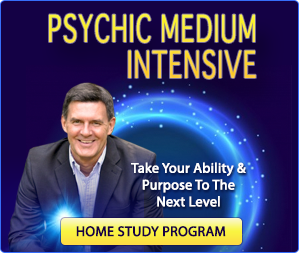 The short answer is yes, your loved one will always be there to communicate with you and watch over you (and greet you when you cross over)–even if that person’s soul has reincarnated. 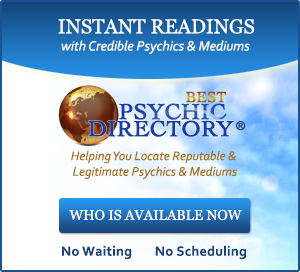 So contact your loved ones in spirit all that you want knowing they are available and eager to communicate with you. Catching up on some of your more “recent” interviews. 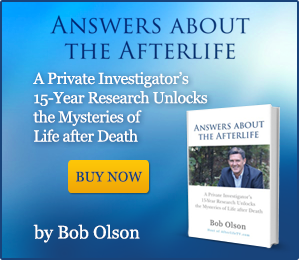 AfterlifeTV is such a unique and terrific website that I tend to keep it for later – like a favorite gift you want to keep unwrapped for last. I hope you continue providing interviews for a long time. P.S. why did the Nanci Danison interview disappear? I love your description of saving the favorite gift for last. I totally get that. I hope I will continue to do these interviews too. I can’t guarantee it from a practical standpoint, but I can tell you that my heart definitely would like it. As for the Nanci interview, I did have to take that down; but it’s too complicated to explain. I want to thank you for getting my book. I hope you love it.